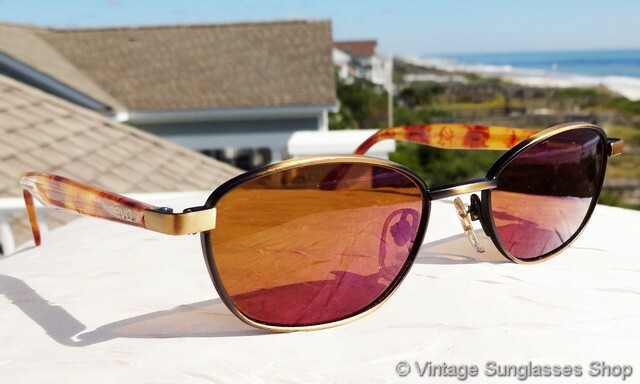 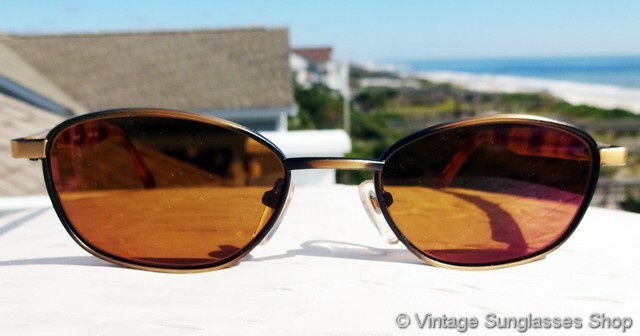 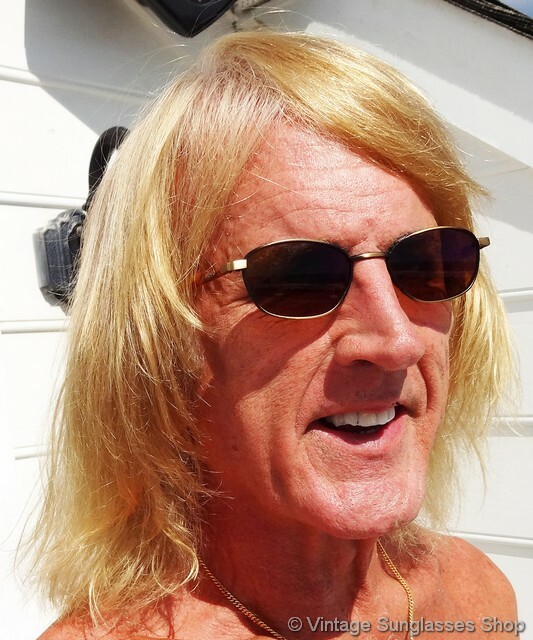 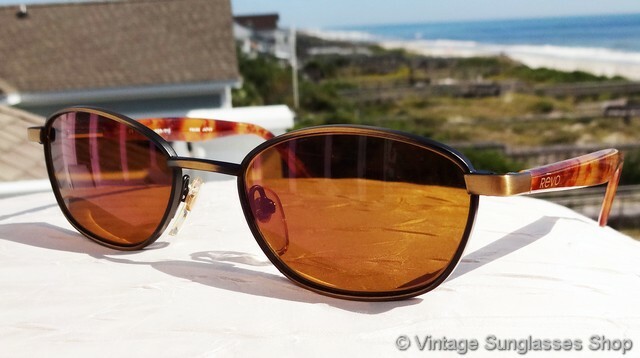 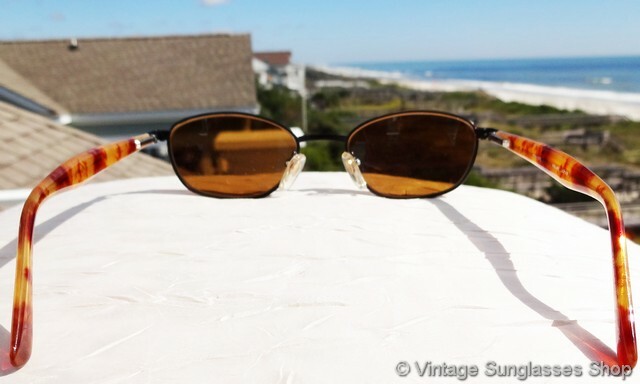 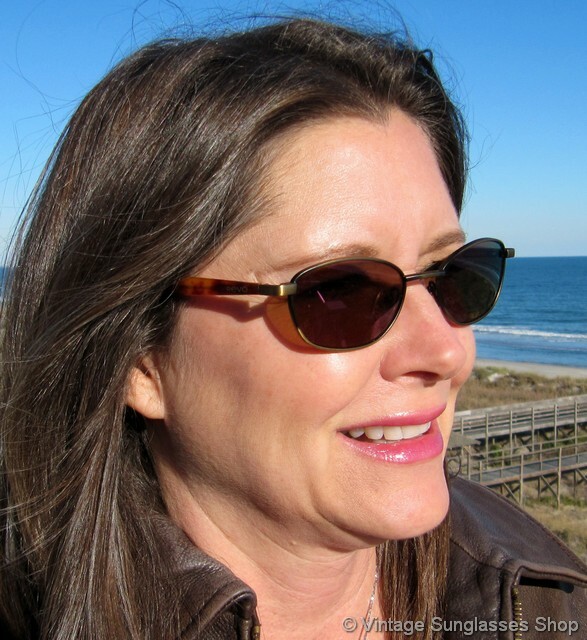 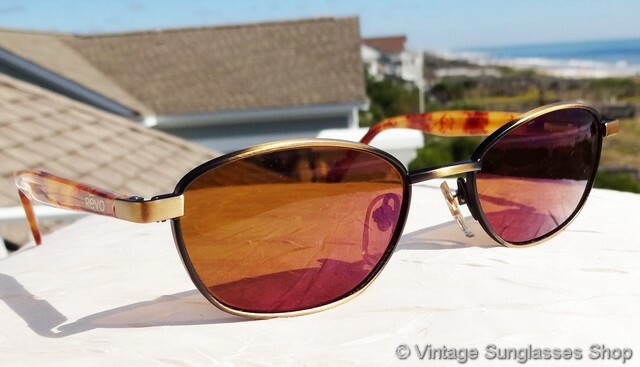 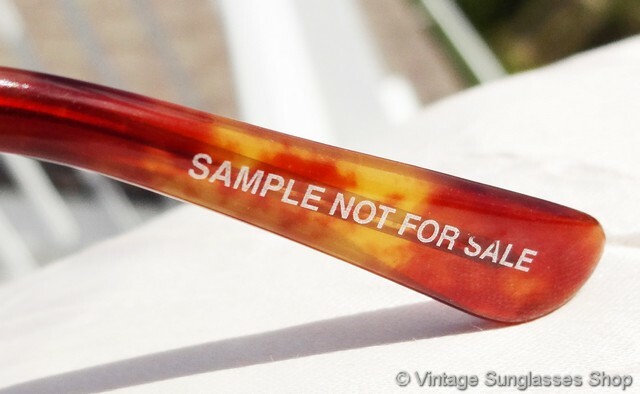 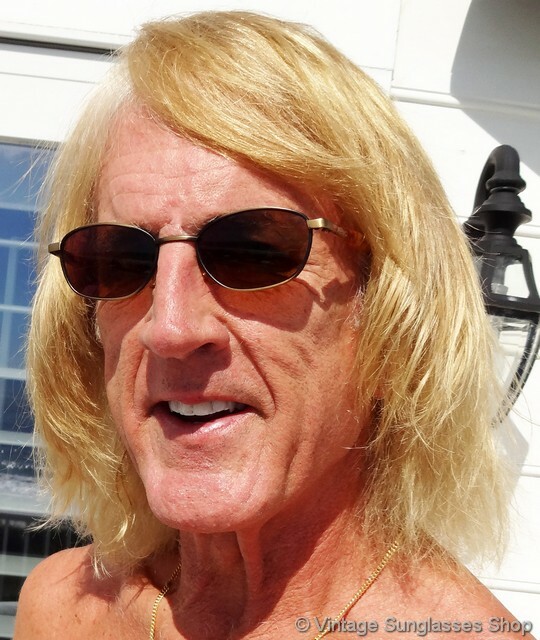 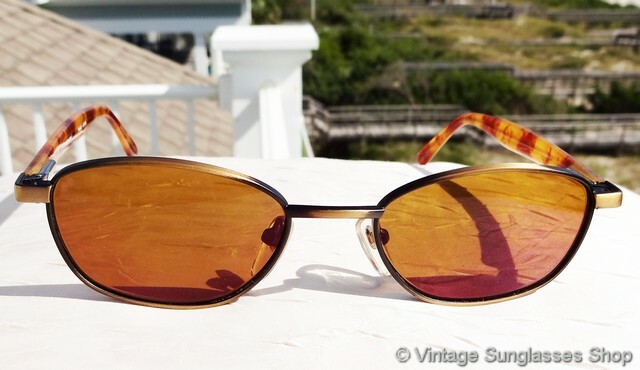 1 Vintage Revo 1129 010 sunglasses are a low production, highly desirable style that couples always desirable and hard to find tortoise shell ear stems with Revo purple mirror lenses. 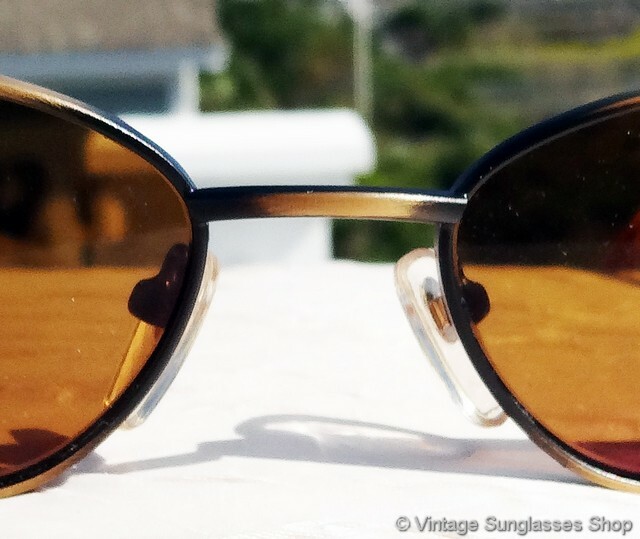 You'll love the antique gold metal frame that comprises the front frame and hinges, antique gold with black highlights that really complement the Revo purple mirror lenses. 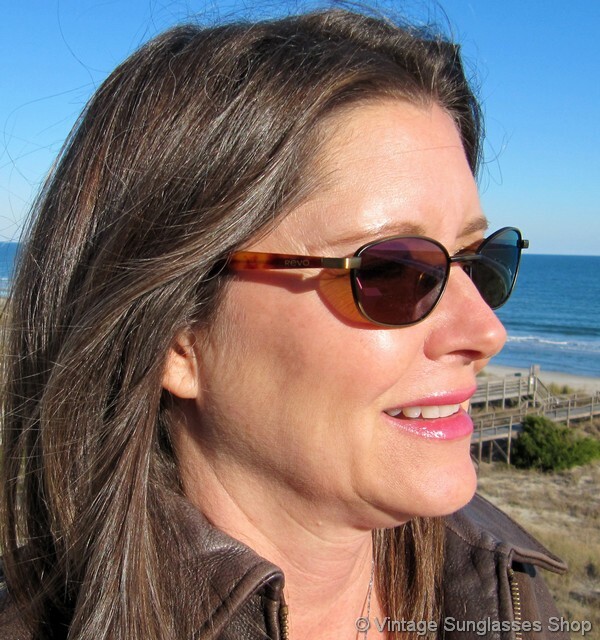 The unisex Revo 1129 frame measures approximately 5.375" temple to temple, and the lenses measure approximately 1.875" x 1.25" at the widest points. 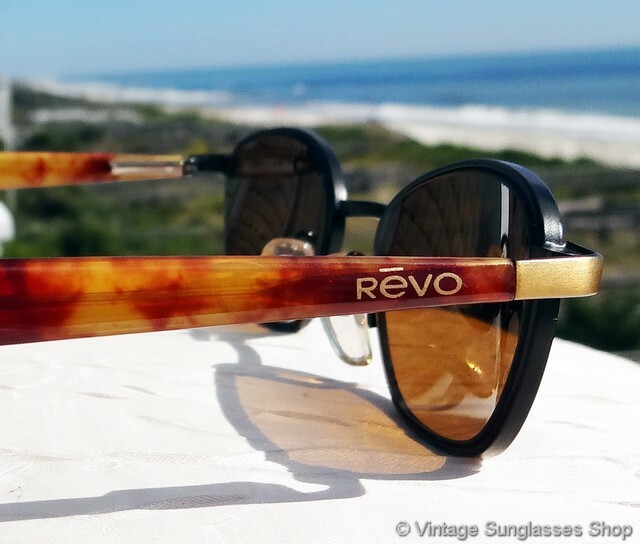 You'll find the Revo logo embossed in gold on the exterior of both tortoise shell ear stems, and the inside of one stem is marked 1129 010 Frame Japan. 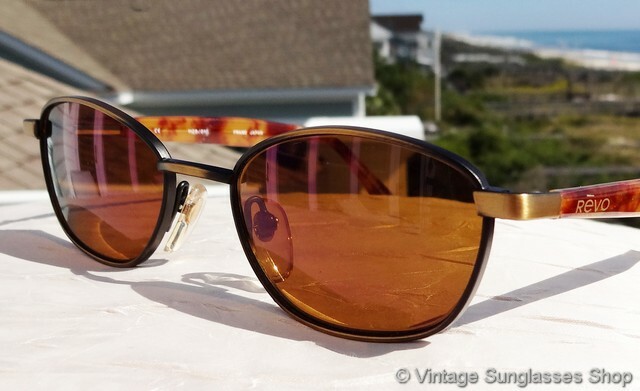 2 Step up another level beyond our already unequaled vintage condition standards with new old stock Revo 1129 010 purple mirror sunglasses in mint, unworn condition.